Itohkyuemon is a green tea store based in Uji, Kyoto that is releasing matcha and houjicha flavoured Valentine’s chocolate this month. 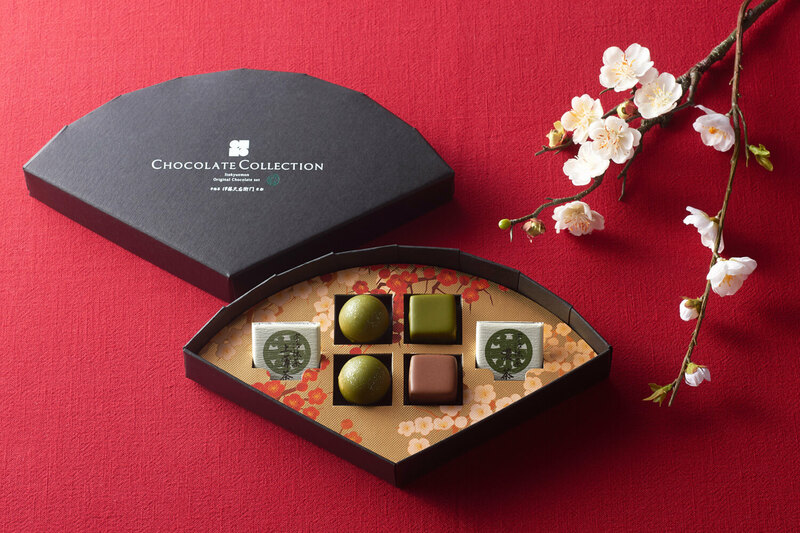 Simply named the Chocolate Collection, they were produced to deliver the kind of chocolate only Itohkyuemon could create for the Valentine’s season. The Uji matcha is made using a traditional ground millstone while the houjicha is a classic everyday tea enjoyed in Kyoto. 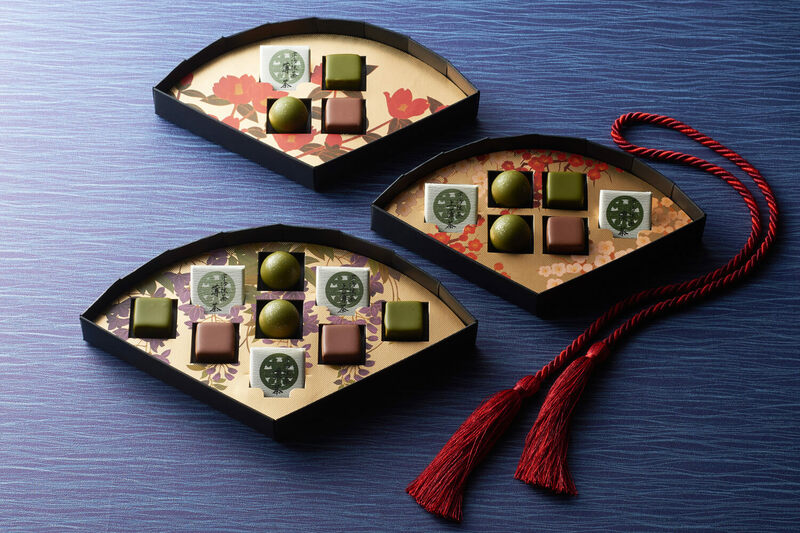 Both chocolates in the collection will provide the full sumptuous taste of Uji tea. Matcha is a very delicate substance whose colour and smell can completely fade when exposed to even a little bit of light or heat. 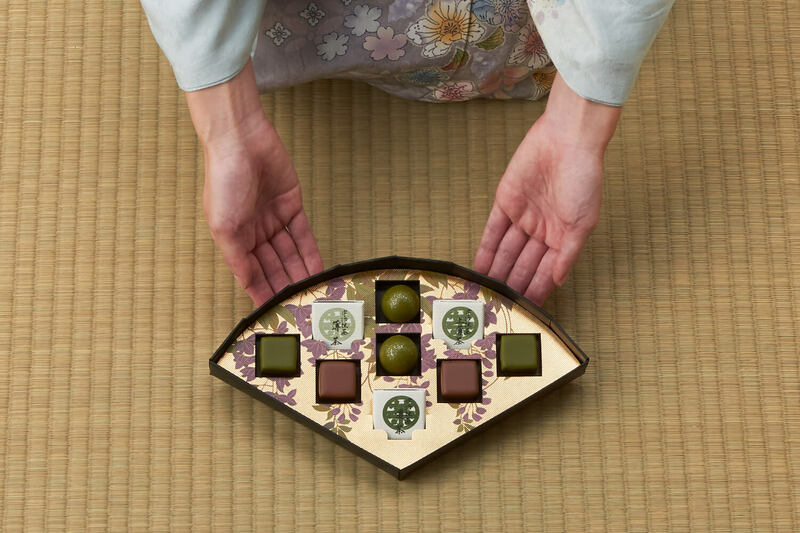 But with the exceptional skills of Itohkyuemon’s chocolatiers and the addition of a little bit of Japanese craft sake the perfect calculations have been mastered to create these chocolates. The collections come in what looks like a simple black folding fan box which when opened reveal an intricate and gorgeous byoubu-e and Kyoto aesthetic design. 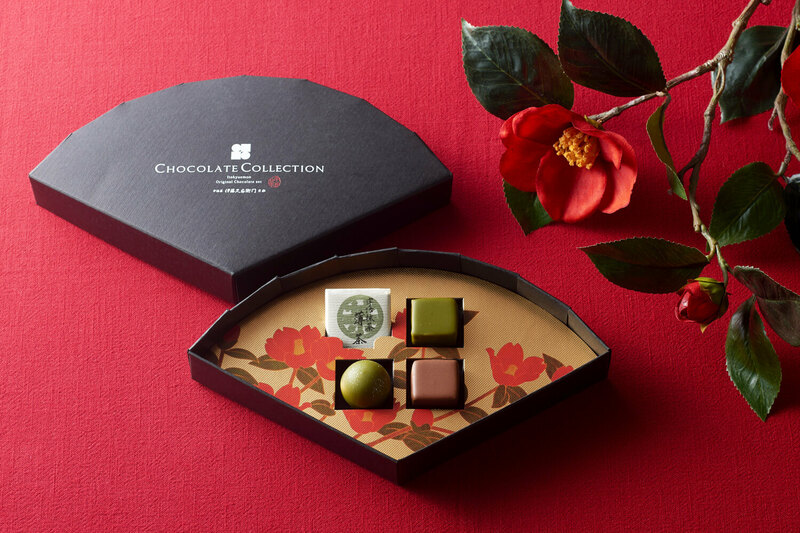 Each box has different flowers drawn in them: Tsubaki (camellia), Ume (plum blossom) and Fuji (wisteria). If you’re looking to spend a little extra on some luxurious chocolates this Valentine’s Day then look no further. *Prices listed are from the online shop.